"Don't be surprised, Pussycat," said Helen Gurley Brown, still flirtatious at eighty-four, "We're all survivors and proud of it. We want to talk about it." And they do. 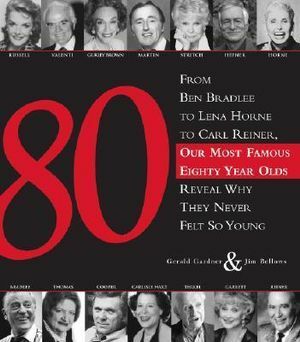 Eighty of America's most famous eighty year-olds reflect on their journeys to the big 8-0 and describe the passions that keep them young. They all have opinions about today's world what is good about being eighty and what keeps them vital. 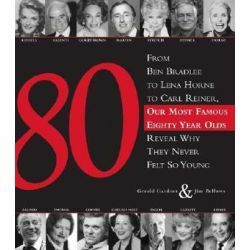 The members of this generation have spent eighty-plus years honing the art of living and they have secrets to share. Their personal stories are truly inspirational. Mike Wallace, Helen Thomas, Sid Caesar, Carl Reiner, Lena Horne, Kitty Carlyle Hart, Ray Bradbury, Art Buchwald, Norman Lear, Robert Byrd, George McGovern, and Jack Valenti.